Today we are all trying to make our homes more energy efficient and this means sealing up any point of air leakage or heat penetration to cut running times on the HVAC systems. 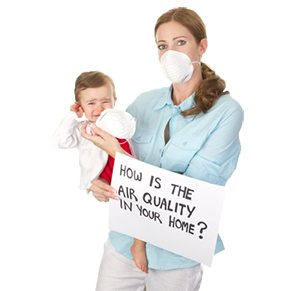 With the home being less likely to “Breath” like before, the instance of more and more VOC’s (volatile organic compounds) are being retained in the envelope of the residence. These are created from multiple products within our homes, carpet fibers, cleaning products, aerosol air fresheners and the like. These VOCs can cause multiple problems with the HVAC system and in larger quantity, your health. There are a multitude of air treatment products on the market, each proclaiming to cure all your problems, but, as with anything else, buyer beware. If you are considering any of these products to relieve allergy symptoms or health issues, please make your first step to be “find out what you are allergic to”!! Once this has been determined, your HVAC contractor will be able to work with you to obtain the correct equipment to match your particular needs; this may require more than one unit or a combination of several specialized units. Most of this equipment can be costly to initially install and if you do not do your homework it may cost you a lot of time and money with little or no satisfactory results. As you know, here in Florida, we are typically dealing with very high humidity levels, which mean your HVAC system is removing a tremendous amount of water every day. The interior of the air handling unit therefore is cold, dark and very damp, a perfect environment for biological growth. There are several places where a home administered air quality test kit can be obtained, this will give you a starting point if you think you may have an issue with growth in your HVAC system. Your HVAC maintenance person may point out some areas of concern during your regular visit, just bear in mind that there are some who will use the “M” word when in fact this may not be the case. He probably is not a Microbiologist and not able to identify the growth as being one thing or another, however do not dismiss his concern if you have been experiencing any type of respiratory ailments or allergy symptoms.